Comedian/Writer/Radio Personality/Actor Karl “Special K” Douglas holds it down daily on the Rickey Smiley Morning Show; the funniest syndicated radio morning show in the country. His voice is heard by millions in over 65 affiliate markets. He has amassed tens of thousands of followers on social media. Now SPECIAL K is Breakin Out in 2018 with a Live Comedy Album On Sirius XM Radio, a new 30 Min Comedy Special On Kevin Hart’s LOL Network in January, a starring role in “Barbershop” the stage play in February and a hot LiveStream Radio Show on WorldStar Hit Radio!! His on-air segments include the outrageous fake entertainment report, “News You Absolutely, Positively, Can’t Use” , the “Top Five”, and his newest features; the politically incorrect radio game show “Racial Jeopardy” and “Hip-Hop Translations for the White Listeners”. In addition, he is the solo comedy writer for the morning show, and “go to” guy for on-point political analysis. Multi-talented as a writer, comedian, and personality, he never stops moving ahead in the competitive entertainment business, also tasked as a writer and actor on the TV One sitcom “The Rickey Smiley Show”, and a writer and contributor to Fox TVs’ highly rated nightly show, “Dish Nation”. As a stand up comedian, he tours clubs and theaters nationally as a headliner and for over 3 years was the house emcee for the country’s longest running urban comedy club, Atlanta’s Uptown Comedy Corner. He is preparing a Vol. 2 of “Unfit Parent” a comedy CD of his greatest radio hits. He has a book “100 Problems, 100 Solutions” a wickedly clever, satirical take on advice therapy. Special K has toured with the “Best” in the business: Sommore, Mo’Nique, Mike Epps, Fantasia, DL Hughley, Arnez J, BruceBruce, Katt Williams and Kevin Hart. 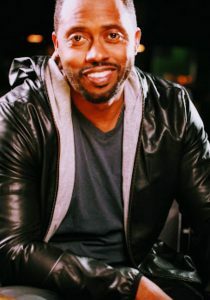 He has also appeared on our TV Tubes across the nation with his multiple appearances on BET ComicView, TVONE’s “Who Got Jokes”, Martin Lawrence’s 1st Amendment Stand Up, Bounce TV’s “Off The Hook”, The Mo’Nique Show and he has held the lead part in the movie “Strip Off”. Prior to joining the Rickey Smiley Show, Special K was heard on The Kim Peterson Show – Talk Radio (Atlanta, Ga), Mo and Special K in the Morning – Clear Channel 107.1 (Augusta, Ga), and 790 The Zone Two Live Stews. Special K’s rise to fame is fueled by his share of adversaries such as dropping out of high school, living on the street, and 18 months of incarceration. Each of these incidents could have derailed his career. Instead, these incidents became motivation to his stand up comedy. Also, they are the basis for his Project 180 a mentoring program that helps young people make better decisions for themselves. Special K’s delivery is smooth, raw, yet intellectual.